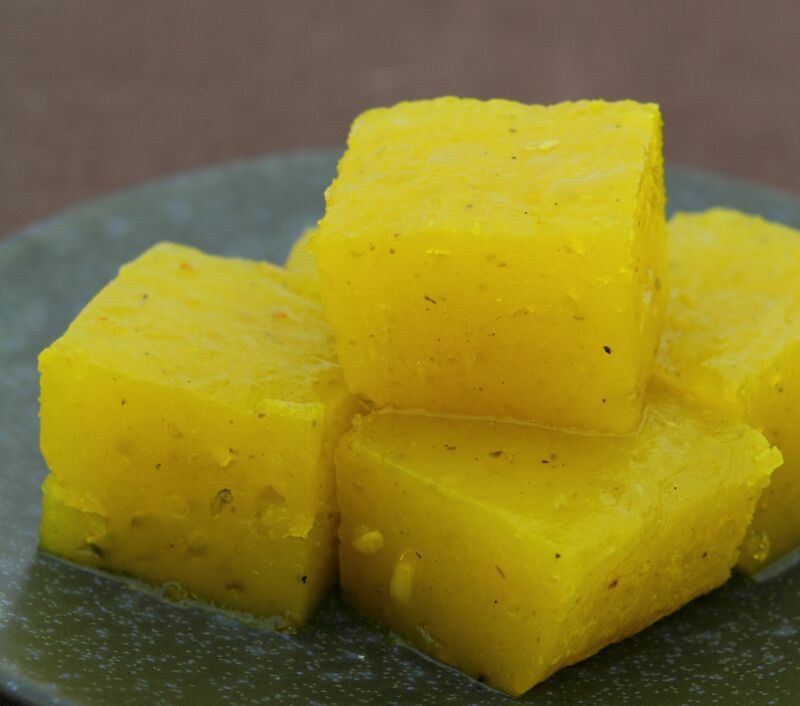 Halwa, which dense and sweet, is popular not only in Indian cuisine but also in Asian and Middle Eastern cuisines. This recipe is courtesy of Venusitas and was first published in Flavours magazine. Over medium heat, boil the water in a pan, then add the flour, mixing well. Slowly pour in the sugar and cook till it dissolves, stirring frequently. Add the remaining ingredients, stirring all the while to prevent lumps. Cook till the mixture thickens and begins to come away from the sides of the pan. Remove from heat, pour the mixture into a tray and leave to cool. Once cool, cut the block into squares and serve.